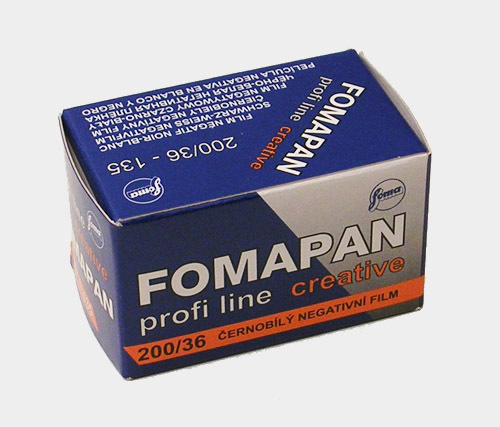 FOMAPAN 200 Creative is a black-and-white negative film designed for taking photographic pictures. The film meets high requirements for fine-granularity, high resolution, good contour sharpness and a wide range of halftones. The film has a nominal speed of ISO 200/27 C; thanks to the wide exposure latitude, however, very good results can be achieved even with overexposures up to 1EV (corresponding toISO100/21 C) or underexposures up to 2EV (corresponding to ISO800/30 C), both without any change in processing. Rich and wide halftone reproduction, even in the highlighted areas, makes this film especially suitable for portrait photography and similar applications.